Elaine and Lee Roy (The Roys) on stage at Presleys' Country Jubilee. 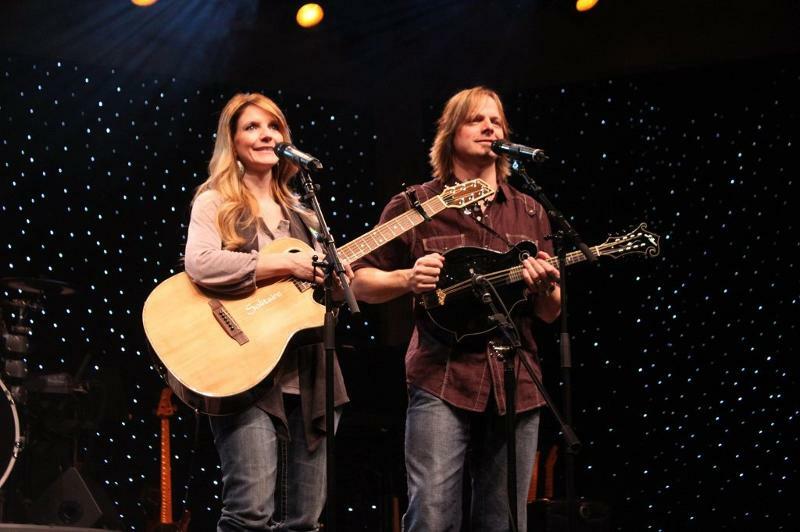 Nashville, TN (July 7, 2011) - Brother/sister bluegrass duo, The Roys, make their debut appearance on RFD-TV's Presleys' Country Jubilee this Saturday, July 9, at 7:30 p.m. ET/6:30 p.m. CT. Lee and Elaine perform their current charting single, "Coal Minin' Man" on the popular family show. Additional airings are Wednesday, July 13 at 4 p.m. ET/3 p.m. CT and Thursday, July 14 at 2 a.m. ET/1 a.m. CT. The popular show is the legacy of decades of family entertainment. Hailed as Branson's "first family," the Presleys founded the "Original Show" on the city's strip 44 years ago. Fans can read the whole "Presleys" story at www.rfdtv.com/presleys-country-jubilee.htm', and see the show's broadcast schedule at http://schedule.rfdtv.com/?tz=1.